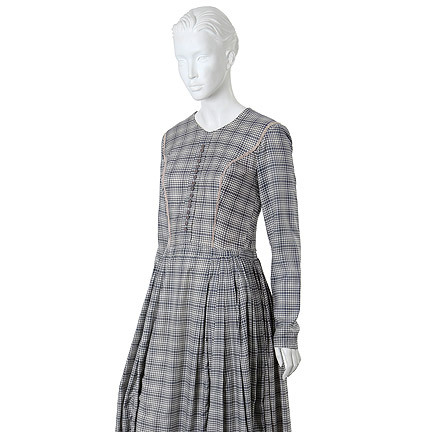 This 1860's western dress was worn by the character "Anna" portrayed by actress Charlize Theron in the 2014 motion picture "A Million Ways To Die In The West". 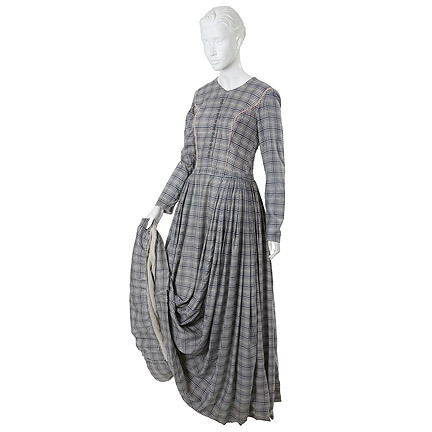 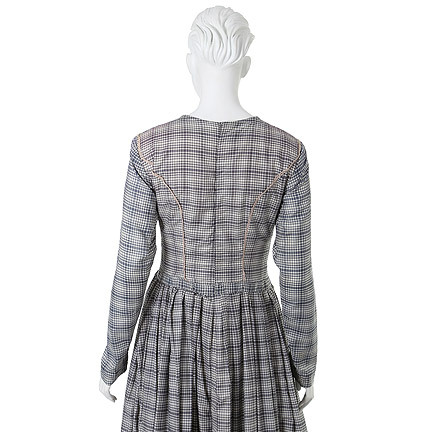 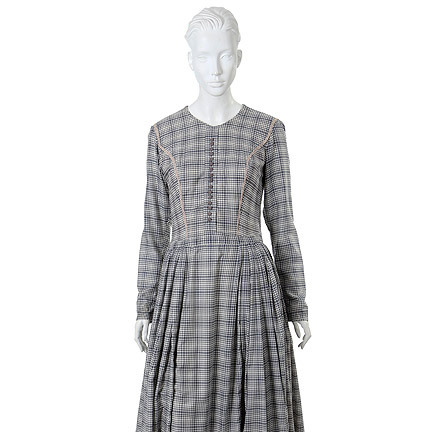 The 1860's full length gown is constructed out of a grey and white plaid cotton material, with plaquard bib front and grey buttons down the front and “V.G. 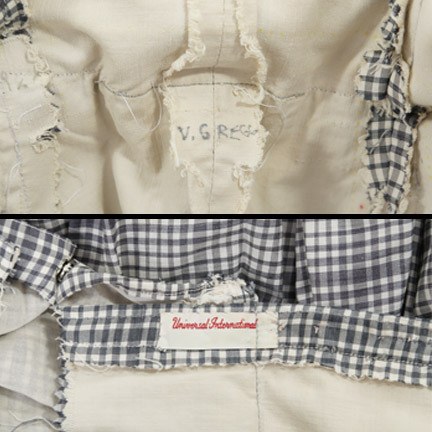 REGG” handwritten in black ink and original Universal International label. 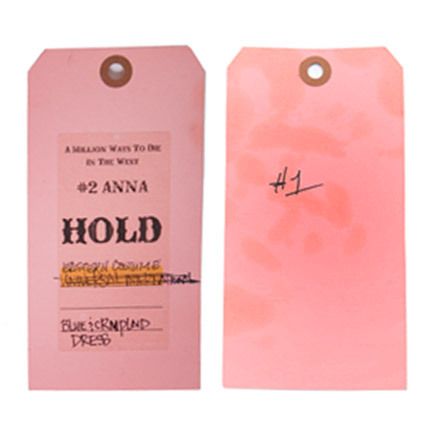 The costume HOLD tags are attached with “A Million Ways to Die in the West, #2 Anna, Eastern Costume, Blue & CremPlaid Dress” printed in black ink and “#1” hand written on the verso. 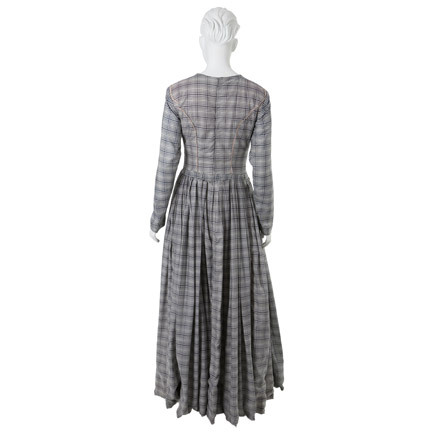 This dress was worn in pre-productuion images but ultimately not worn in the film. 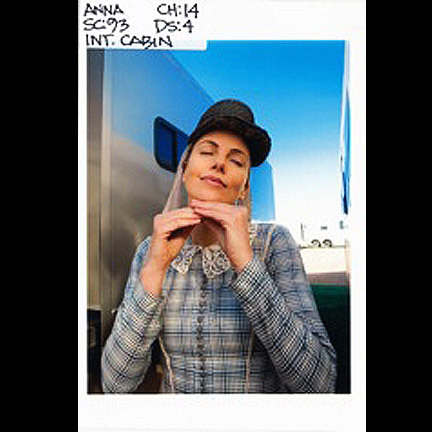 This comedic western stars Seth MacFarlene, Charlize Theron, Amanda Seyfried and Liam Neeson. 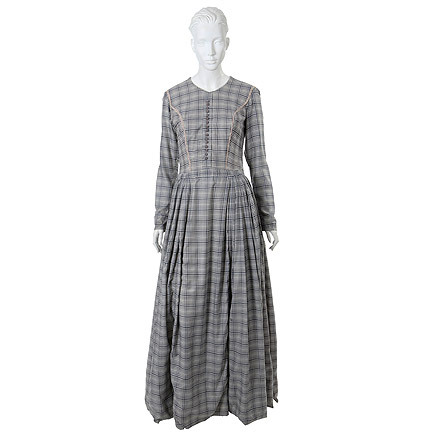 The film follows a cowardly farmer, Albert (Seth MacFarlene), as he begins to fall for the mysterious new woman in town, Anna. 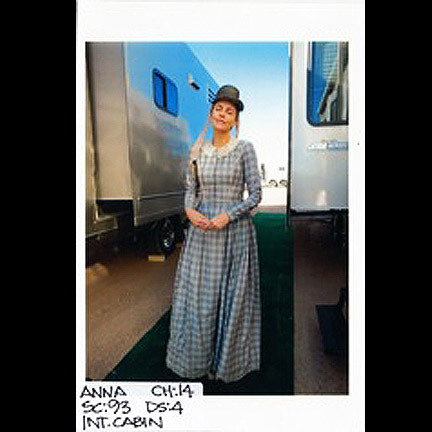 He must put his new-found courage to the test when her husband, “Clinch” (Liam Neeson), announces his arrival. 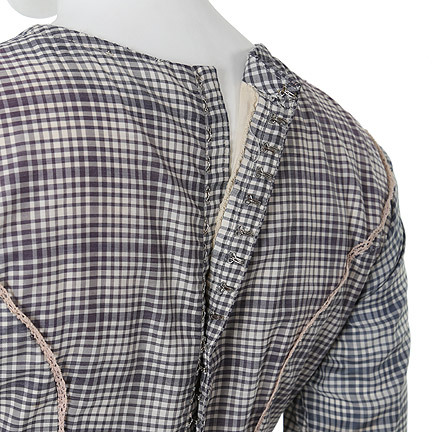 This garment is in excellent vintage screen worn condition and is accompanied by a letter of authenticity from the costume house. 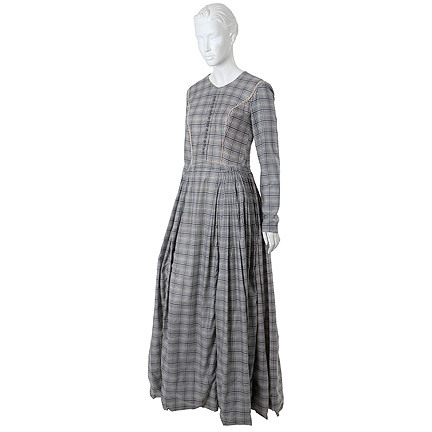 Presented to you by The Golden Closet, your premiere source for iconic screen used wardrobe, props, and entertainment memorabilia.